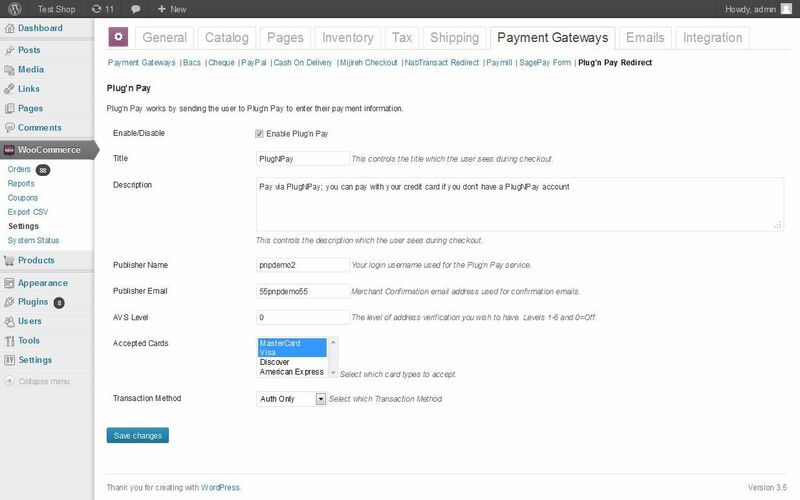 Plug’n Pay delivers the industry’s easiest-to-integrate eCommerce gateway . . .plus a wide range of innovative, cost-effective solutions to maximize online and point-of-sale profits, reduce fraud and build customer loyalty. 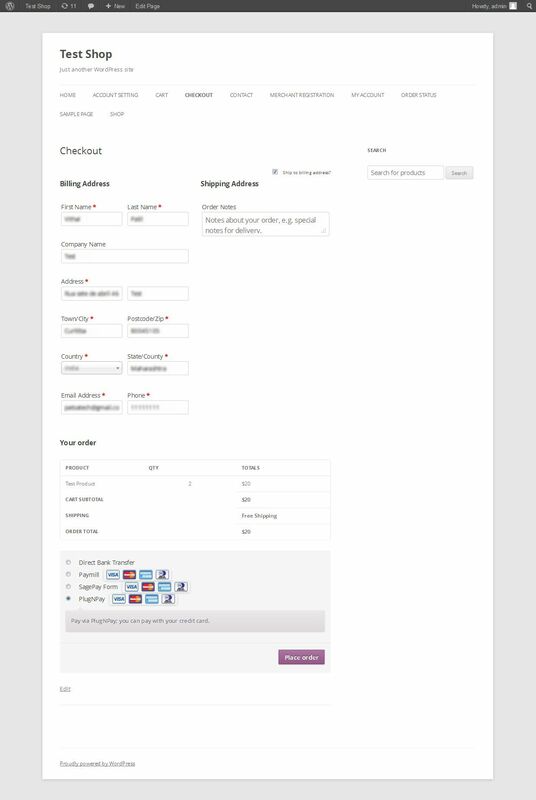 This Plugin allows you to accept Payments through WooCommerce Store using the Plug’n Pay Merchant Account and without worrying about Customers Card Details which taken care by Plug’n Pay.